Lucasfilm Ltd. announced that the live-action Star Wars Saga will be converted to 3D! There are few movies that lend themselves more perfectly to 3D; from the Death Star trench run to the Tatooine Podrace, the Star Wars Saga has always delivered an entertainment experience that is completely immersive. Presented by Twentieth Century Fox and Lucasfilm Ltd., the cutting edge conversion will take that immersion to the next thrilling level, with Industrial Light & Magic supervising the project. 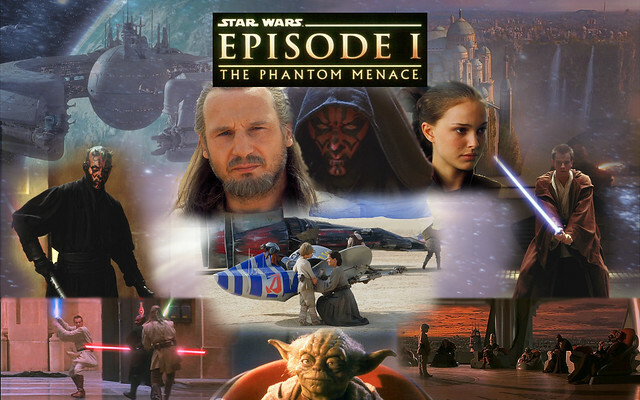 Star Wars: Episode I The Phantom Menace is expected to be released theatrically in 2012. A release date has not yet been determined. Getting good results on a stereo conversion is a matter of taking the time and getting it right. It takes a critical and artistic eye along with an incredible attention to detail to be successful. It is not something that you can rush if you want to expect good results. For Star Wars we will take our time, applying everything we know both aesthetically and technically to bring audiences a fantastic new Star Wars experience. – John Knoll, Visual Effects Supervisor for Industrial Light & Magic.